When kids at an after-school writing and tutoring program started working on stories about their community, no one imagined the project would play a role in Greenwood history. 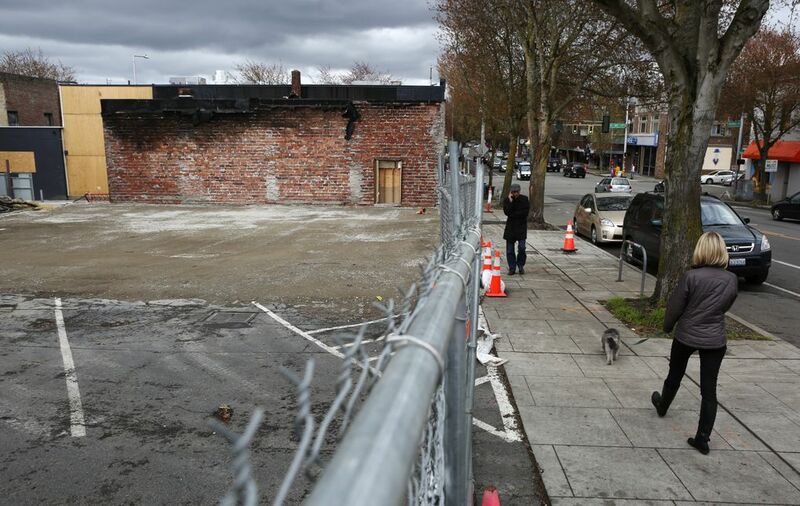 Now the anthology has become a fundraiser as the neighborhood rebuilds after the explosion. One kid handed over his entire savings. A couple donated $5,000 and didn’t even ask for a receipt. 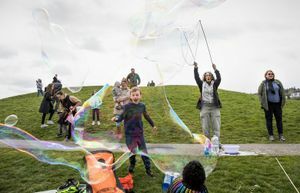 And then there was the day when Lee Harper, executive director of the Phinney Neighborhood Association, opened her mailbox and found a check for $20,000, sent by an anonymous donor through The Seattle Foundation. The response to the early-morning gas explosion that leveled two buildings and damaged 53 in the Greenwood neighborhood March 9 has been swift, heartfelt and has so far generated $245,000. But perhaps the most meaningful is the gift from The Greater Seattle Bureau of Fearless Ideas (BFI), formerly known as 826 Seattle. The after-school writing and tutoring program is donating the proceeds of its new anthology of stories and poems to the Greenwood Relief Fund. The anthology will be celebrated at 2 p.m. Saturday, April 9, at the Greenwood Senior Center, 525 N. 85th St., Seattle. More information: Greater Seattle Bureau of Fearless Ideas. This, after the nonprofit was hit by a flood just weeks before the blast, and then took another blow when its ceiling collapsed and windows shattered in the explosion. As much as BFI could use the money from the publication of “Encyclopedia Greenwoodia,” well, the neighborhood needs it more. Indeed, the book — which will be feted at a release party at 2 p.m. Saturday (April 9), at the Greenwood Senior Center — is an anthology of 38 stories and poems about the neighborhood, put together by BFI students and some adults well before the blast. There’s an interview with Sammy Arsheed, co-owner of Mr. Gyro, conducted by the kids. The restaurant was one of two destroyed by the explosion. Bryan Miller, one of the owners of Naked City Brewery & Taphouse, wrote a poem. 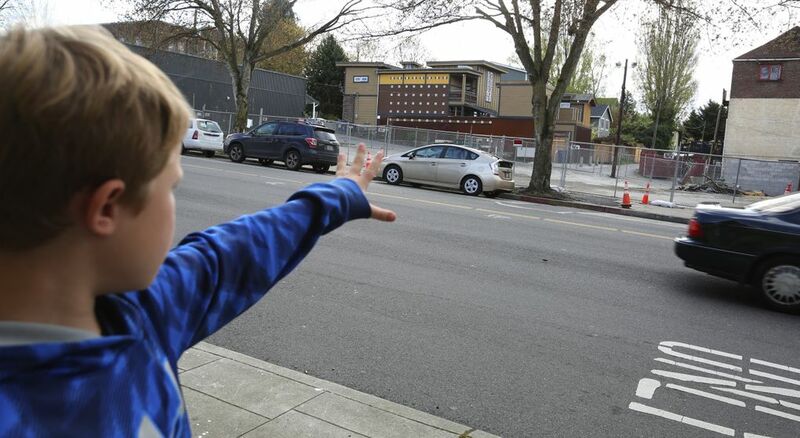 When the BFI split from the 826 organization in 2014, “We realized how much we loved our neighborhood and how important our neighbors are to our kids’ lives,” Hein said. Instead, they are taking care of their neighbors. The BFI received a grant from 4Culture, the cultural-services agency for King County, to publish 500 copies of the book. But after the blast, 4Culture agreed to double the print run. The $10 book will be available at Phinney Books and other local businesses, as well as online at fearlessideas.org. 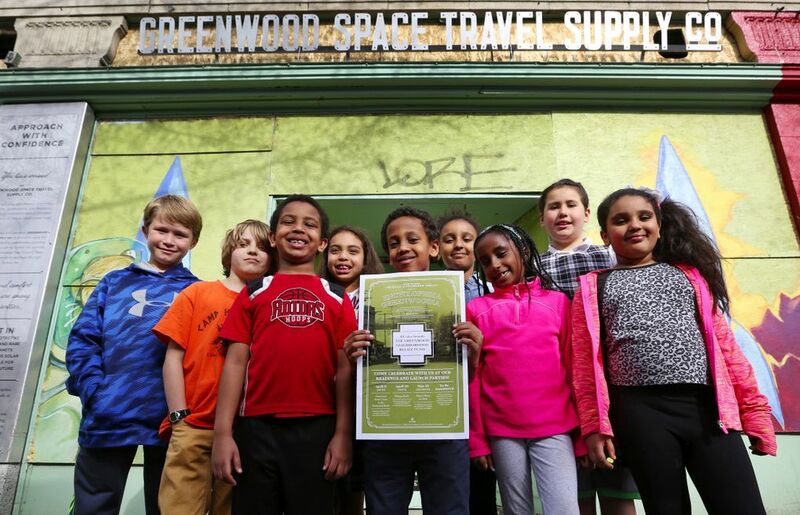 The BFI is operating out of the Phinney Neighborhood Association and hoping to be back in its space by mid-June, and to reopen its retail storefront, The Greenwood Space Travel Supply Co., in August. Harper already has given out $105,000 to replace doors and windows not covered by insurance, to help employees of the affected businesses pay bills, and to help the 12 residents who lived above Gordito’s find housing. In the meantime, the money keeps coming in, in batches big and small. It’s what a community does. “I think that we are all blown away by that,” Harper said, then let out a laugh that was part nervous, part relieved — and all Greenwood.